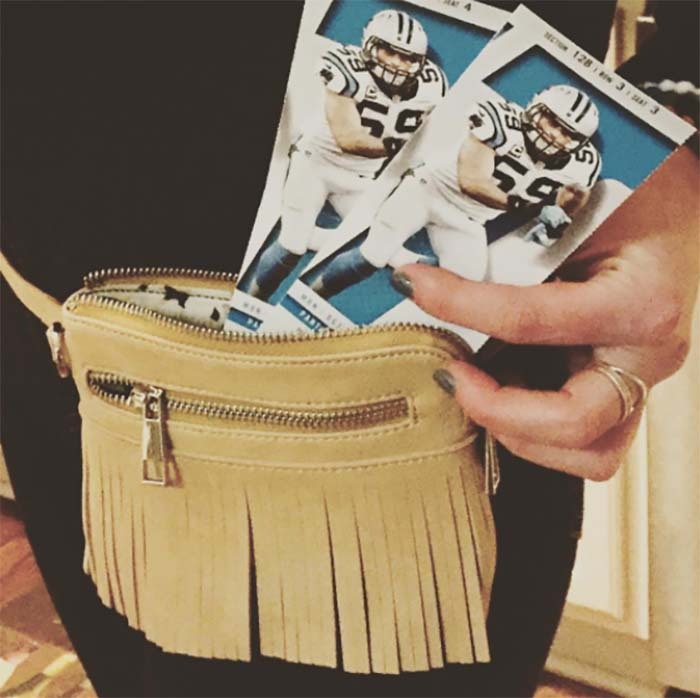 When the NFL announced that they would put into effect new rules that ban all bags, purses or backpacks over 4.5″ by 6.5″ in every stadium with the exception of larger, clear plastic bags, self-described “Boss Lady” at The Pink Hanger Jennifer Ugland knew she had to find a loophole. 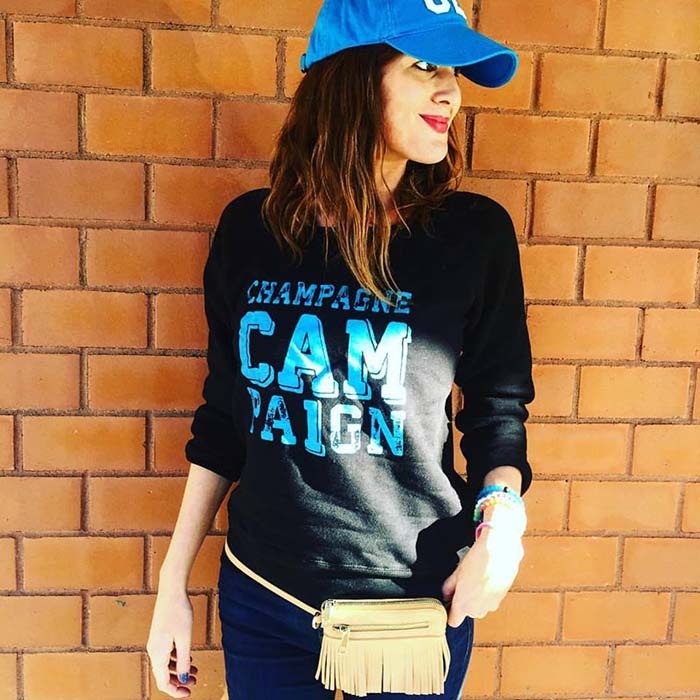 “As an avid football and fashion lover, the new stadium regulations for handbags left me feeling a big frustrated. There were no stylish, even remotely fashionable, options out there,” Ugland, who has been in the fashion world for over ten years, told the Agenda. She counts her iPhone 6, lip gloss and credit and debit cards as her game day staples, but wasn’t willing to put her possessions on display. And with that, POLICY Handbags was born. 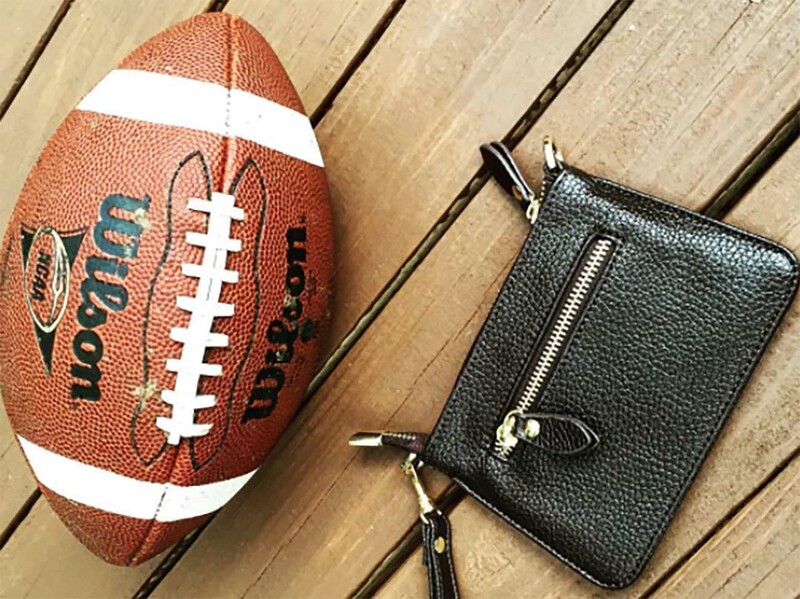 Ugland, who has worked in the sales, management and buying worlds of fashion took everything she’s learned during the span of her career to create a line of handbags that meet the proper stadium size regulations without sacrificing style. To create the line, she’s partnered with a production team that manufactures bags for brands like Vince Camuto and J. 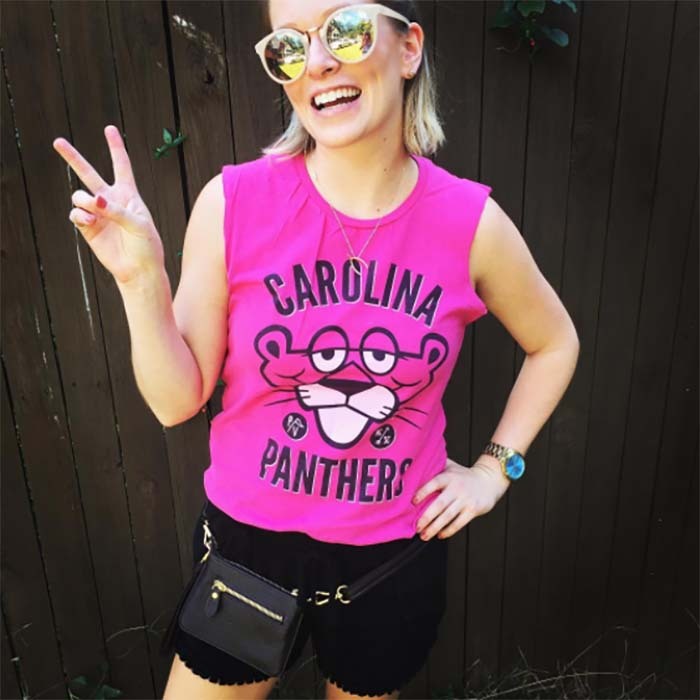 Crew and oversees every stage of it from conception to production to ensure that every bag meets the standards of the NFL, fashion savvy and diehard Panthers fans. 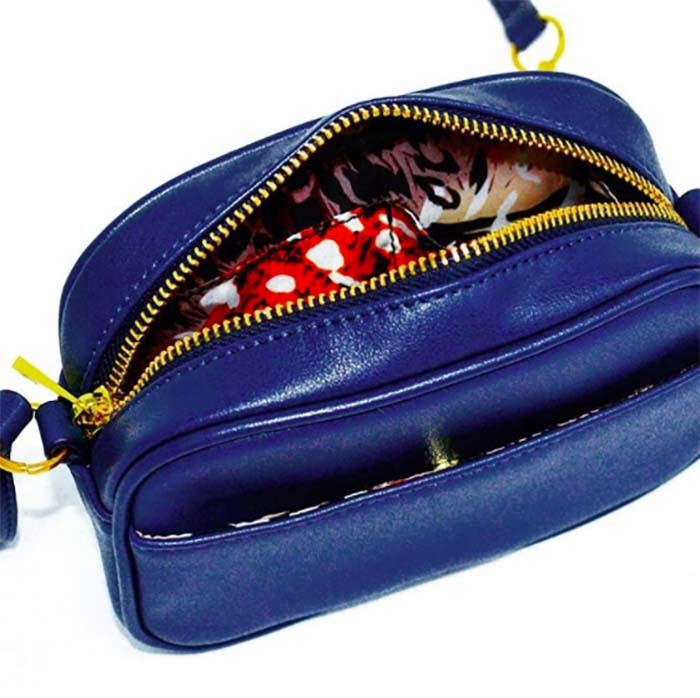 Ugland, who designs every bag offered, says that there’s no better option when it comes to getting each necessity through inspection, packed neatly in a trendy bag. Each bag, which are made from animal-friendly vegan leather will retail for under $100 when the line’s first shipment becomes available for purchase on November 7. They’ll also be available at The Pink Hanger, where Ugland serves as owner and manager and finds some of her inspiration.